Before I met my husband Steven and I had my son Cruz, I already had two loves in my life, my dogs Macie Elizabeth and Spencer. 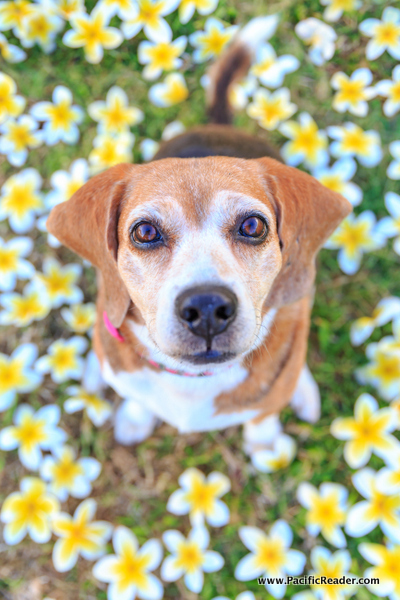 They can be the most inconveniencing, loud barking beagles, but always loving and forever loyal. 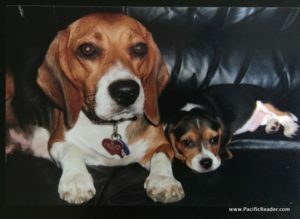 These beagles have surpassed ex-boyfriends, moved houses with me, and have always been by my side. Macie is now 11 and Spencer 10, so I started looking into get professional photos taken of them. I thought it would be a good idea to get shots with them and Cruz now just to have keepsakes. 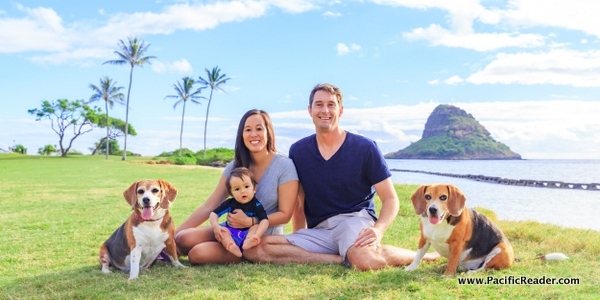 After looking into family photographers I asked around and stumbled upon a pet photographer Keri Nakahashi. Keri’s photos instantly caught my eye. I liked the playfulness in her shots and loved her outdoor beach photos. When I contacted Keri for information she was extremely polite, prompt, and thorough. 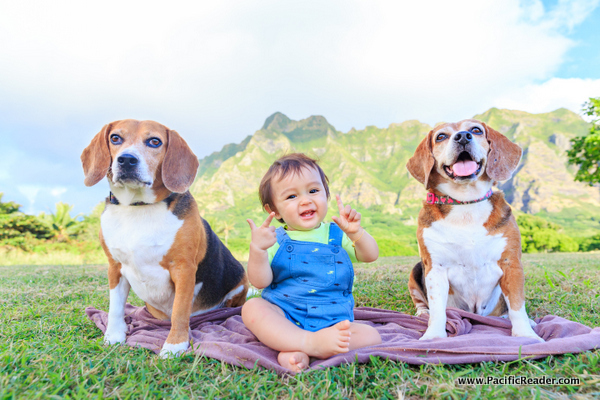 She also was happy to photograph Cruz with the beagles and even do some family shots. 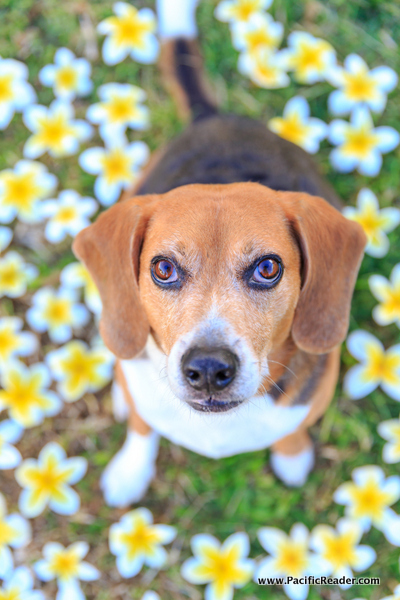 We set up a consultation to meet with the beagles and after meeting with Keri I booked our photo shoot date. 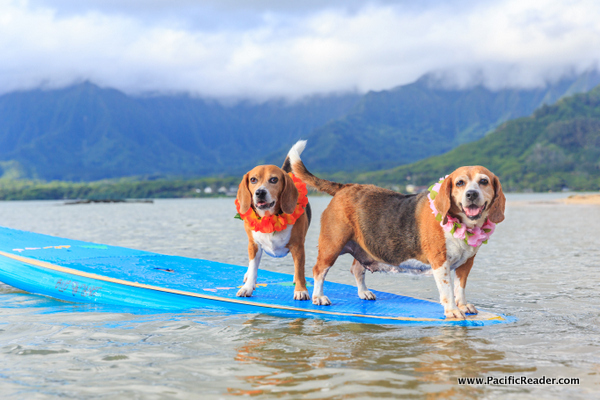 A few weeks later we did our photo shoot at Kualoa Regional Park. Shooting two excited dogs, a one year old, and two unphotogenic parents was challenging, but Keri remained calm, kept us all on task, and after about 2 hours we were done. We met up a couple weeks later to preview the photos from the shoot and pick our favorites to order. Steve and I were totally blown away with the photos! We were so impressed with all the photos that we decided on one of Keri’s photo packages and ordered wall art, a photo album, acrylic blocks, and our favorite 20 digital photos. The best thing about Keri is that we can order everything from her, and she delivers it to you once it’s all ready. I’m guilty of having jpeg files on my photo of computer that just sit there because I don’t have the time to print them out.